Sorry I have been M.I.A. this past week! I came home from Florida and we discovered a gas leak in our house - yea, no fun! So we had to get that fixed and stay at my mom's house while waiting for them to finish. They had to turn the gas off, so our house was freezing cold! Luckily, after a few days and a lot of $$$, we have new pipes and our house is safe - thank goodness! For today, I wanted to share a tasty and easy recipe with you all. It is a delicious turkey sandwich that my cousins used to make for me when I was little. Don't worry, it's easy! Put all the ingredients together! 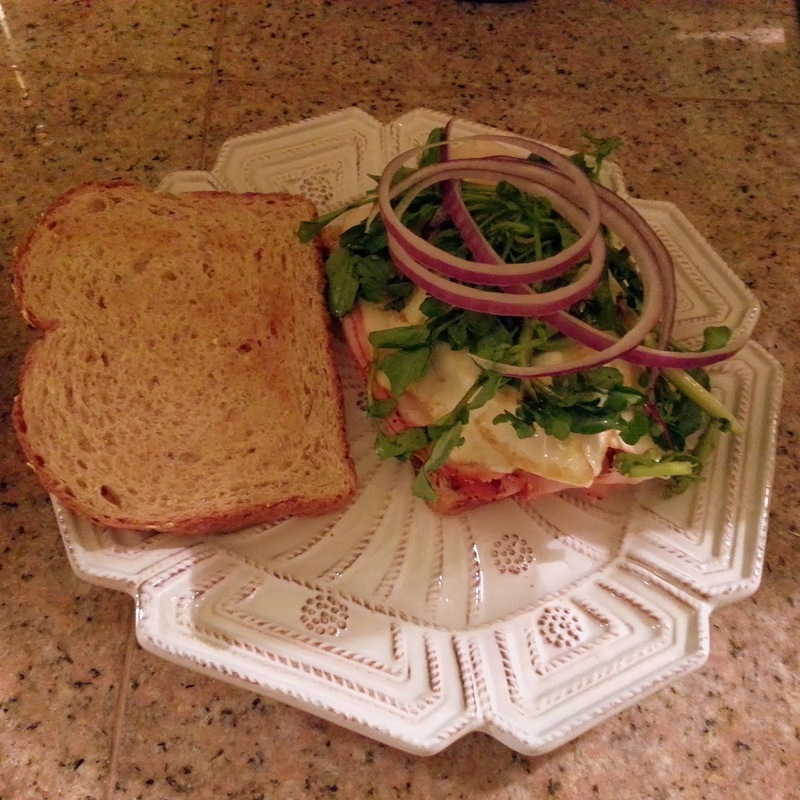 Great way to mix up your usual turkey sandwich and with the egg, it is more filling. Plus if you are having guests over for lunch, these sandwiches have great presentation! Hope this recipe comes in handy and gave you a good dinner idea for your lazy Sunday.